Physical Description Tall, athletic, blue skinned beauty with a stare that could kill and a body to match. General Overview Like most Andorians, she doesn't believe in subtlety or lying as such she can come across as brash or rude. She has very little time for fools or incompetents and this impatience means that she'd much rather do something herself than explain how to do it to someone else. This attitude has led to run-ins with her superiors on more than one occasion. Off duty she can be quite sensual and prefers to wear as little as possible. She doesn't like having to depend of others. Growing up around humans she developed a sense of humour. She as abandonment issues stemming from her exile. Having been artificially created, she feels out of place around natural-born people. -has trouble asking for help. -Is impatient and quick to anger. -Due to being part human she isn't too fond of the cold. Ambitions To perform her duties to the best of her abilities. Hobbies & Interests Martial arts, gardening, military history. Personal History Azure was born (well, created) on an Andorian Science Station orbiting Andorian colony Almadixarian. Her father (the Scientist in charge of the project) was attempting to find a way to save the colony from extinction, due to rapidly decreasing fertility rates caused by a viral outbreak. His experiments involved combining Andorian and human DNA. The experiments were a partial success, giving them a viable, fertile Andorian/Human female, Azure, but was unable to produce a fertile male hybrid. Seeing no useful results, the Andorian Science Council shutdown the project and had the staff and resources reassigned. Once the experiment was shut down, Azure and her 'brothers' were seen as abominations and were banished from Andorian space. Where their ship came under attack by pirates and her 'brothers' were killed protecting her. When the U.S.S. Thermopylae came to the rescue, Azure was adopted by one of its officers and his family. Brought up as a human, she knew little about her Andorian culture until she joined the Marines. After Boot Camp, Azure trained as a field medic. Growing up on Earth she was seen as a peculiarity, it didn't help that her adoptive parents named her based on the colour of her skin. She had few friends growing up. During her time in the Marines, she has also taken courses in botany and herbal medicine. Though she did not serve in the Dominion War, she has taken part in several actions in her time. 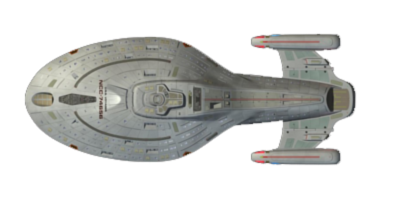 While assigned to the USS Rochester, she took part in a mission to evacuate a Science Station that had come under attack by Breen pirates. Azure help set a triage centre in the Station’s commissary as the Infirmary had fallen to the pirates. There she prepared the station staff for transport and further treatment aboard the starship. Later while foraging for supplies, she was able to immobilise two Breen that she came across. She has recently been assigned to the USS Pioneer’s Marine Detachment as field medic. 2381 – Basic Field medic training. 2383- Intermediate Field medic training. 2386 – Advanced Field medic training. 2386 -2393 – Assigned to the Marine detachment aboard the USS Rochester as Corpsman Crpl. 2390 – Botany and herbal medicine. 2394 –Assigned to the Marine detachment aboard the USS Pioneer as Corpsman.